Spending summer in your backyard can feel like the epitome of luxury – that is, until you realize just how close your neighbors are. Then, instead of backyard luxury, you feel like you’re in a fishbowl or you’re unintentionally starring in a second rate reality show. You want your backyard privacy back, and you want it now. We can help with that. 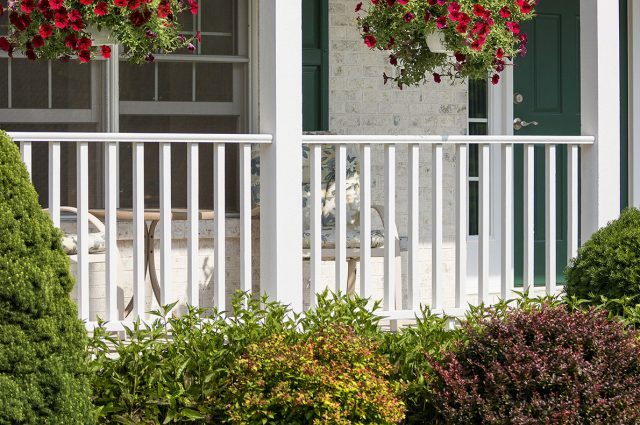 At Smucker Fencing, we’re primarily known for building gorgeous and durable fences – but we’re also an authority on getting the best outdoor living experience for your budget. Check out our 7 great backyard privacy solutions, including the in-style privacy fences for 2018 and 2019. In order to truly enjoy those long summer afternoons or late evenings, you need to throw off the feeling of being on display to your neighbors. After all, your backyard is yours – not everyone else’s in your neighborhood. Because at Smucker Fencing we’re all about providing solutions that you can use right now, we’re not going to tell you to plant a grove of trees or build an elaborate stone wall. The bottom line is: our backyard privacy solutions are crafty, budget-friendly, and don’t take years to protect your privacy. Waiting for trees to grow can take years. That’s why we recommend buying already large plants and letting them grow even bigger. Ringing the area you want to make secluded with these living accessories not only effectively blocks your neighbors’ line-of-sight, but the plants look attractive while doing it. 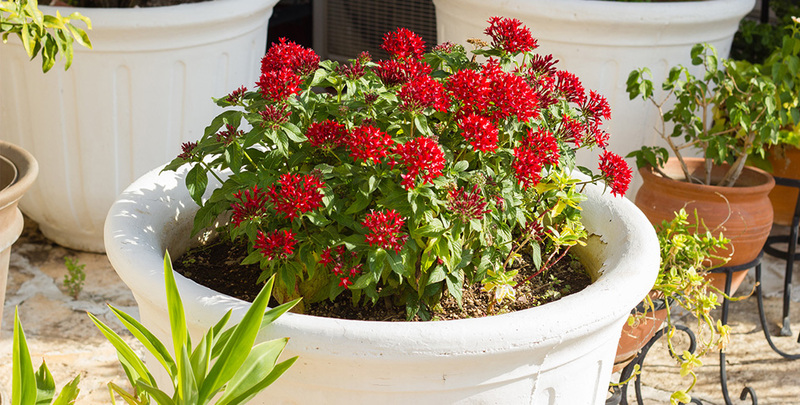 The best-potted plants to use as an outdoor privacy solution grow tall and have big leaves. Bonus points for buying potted plants with jumbo pots to make them even taller. A product designed entirely to enhance your backyard privacy, lawn privacy screens come in any material and style you can imagine. These weatherproof screens are usually mounted on wood frames and span several feet across to provide you effective, stylish, and inexpensive privacy – whenever and wherever you need it. We’ve seen great screens made out of wood, vinyl, cloth, and almost anything else you can imagine. While you don’t have time to wait to grow a backyard orchard, planting a bamboo patch is a different story. 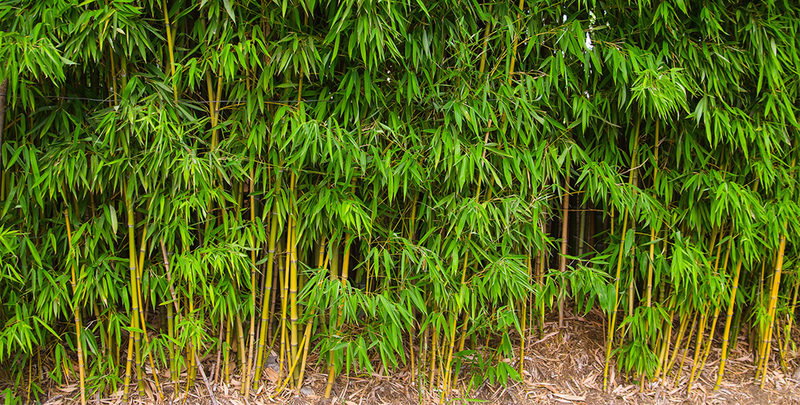 Bamboo is one of the fastest growing plants in the world and it provides excellent coverage, too. If you want to jumpstart using bamboo as an outdoor privacy hack, transplant a mature bamboo plant to your own backyard. Most lawn furniture is generally pretty subtle and understated. 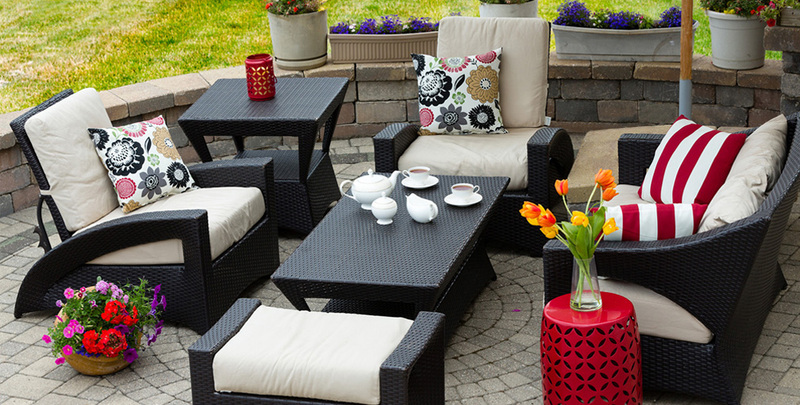 However, the right pieces of tall, high backed lawn chairs and lawn couches can keep you feeling secluded as well as give you a comfortable place to sit. While your potentially nosy neighbors will still be able to peer into your yard, they’ll have no idea what you’re up to. One of the hottest trends in outdoor living, this crafty DIY feature is like a bookshelf for plants. 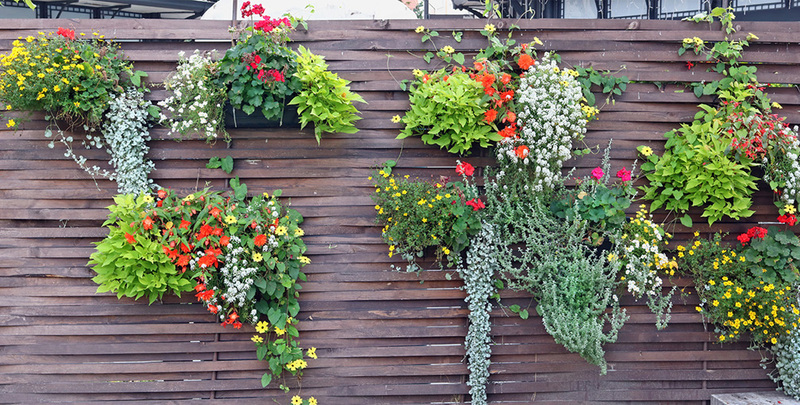 Often built from old, open back bookshelves, a garden wall is stacked tall with numerous potted plants. Not only can one of these walls highlight your green thumb, it’ll protect your privacy, too, especially when used on your patio or deck. 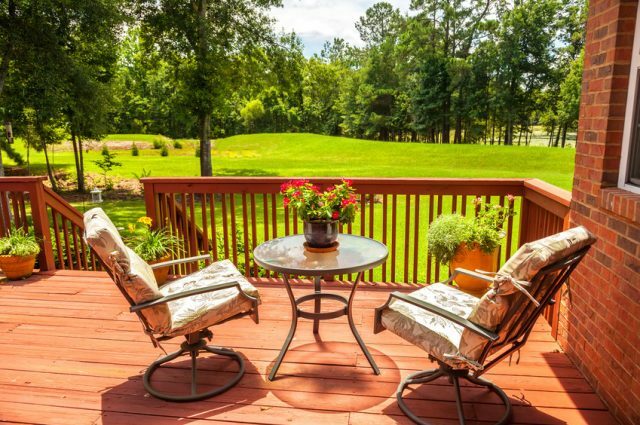 Learn more about enhancing the look of your deck. There’s more to privacy than just keeping yourself out of your neighbors’ sight. You also want to feel like your conversations aren’t being broadcast to every connected lawn, too. The constant splash and flow of a fountain works wonders to create a white noise barrier, keeping your private conversations private. 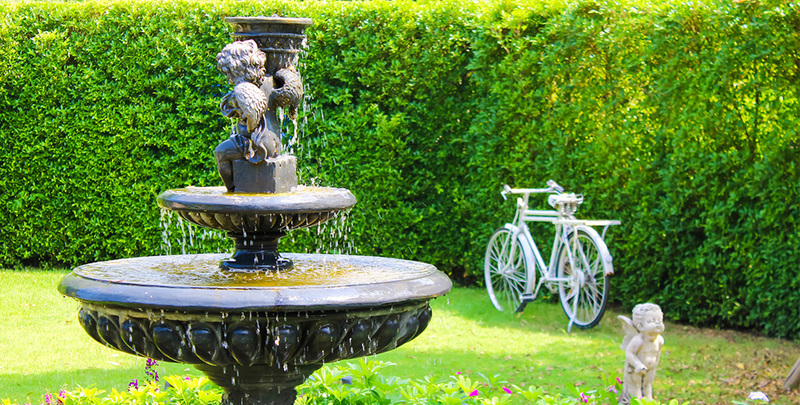 In addition, if you want to drown out noise from the road or from the boisterous neighbors, water features can help with that, too. The simplest and most effective way to make your backyard private. Usually six feet tall or more, backyard privacy fences are the most effective and direct backyard privacy solutions. At Smucker Fencing, we install numerous backyard privacy fences every year that both effectively safeguard the homeowners’ privacy AND have an elegant sense of style at the same time. 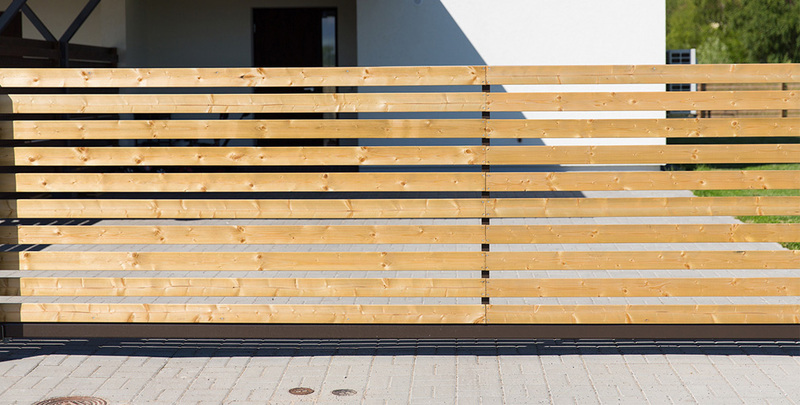 Learn which side of a wooden fence should face your neighbor. Any Smucker Fence you select will boast the good style and performance you can trust. While aluminum fencing is one of the most popular styles right now, it isn’t a good choice for full coverage privacy. 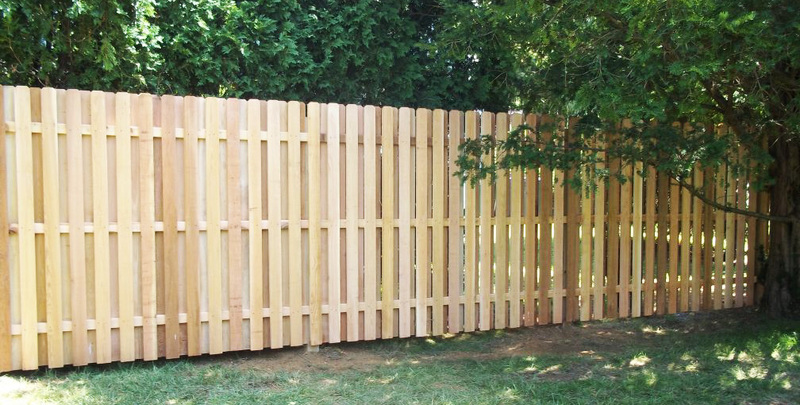 Cedar Privacy Fences – These privacy fences have the rustic style of wood and provide the privacy you need. These wooden fences are a great choice for backyards with a naturalistic décor, as their redwood style complements nicely. Vinyl Privacy Fences – A great option for style and practicality. Vinyl privacy fences are extremely easy to maintain and their clean style matches just about anything. The most popular colors of vinyl privacy fences are white and tan. Aluminum Framed Privacy Fences – The truly deluxe option, these fences feature a stylish aluminum frame surrounding tight vinyl paneling. This is the best way to incorporate the modern style of aluminum in an effective backyard privacy solution. Want to learn more about your options for a backyard privacy fence? We’re the team to call. At Smucker Fencing, we’ll help you decide on the style and material that’s perfect for your yard and your budget. Contact us to have a conversation about your fence and to get your free quote!